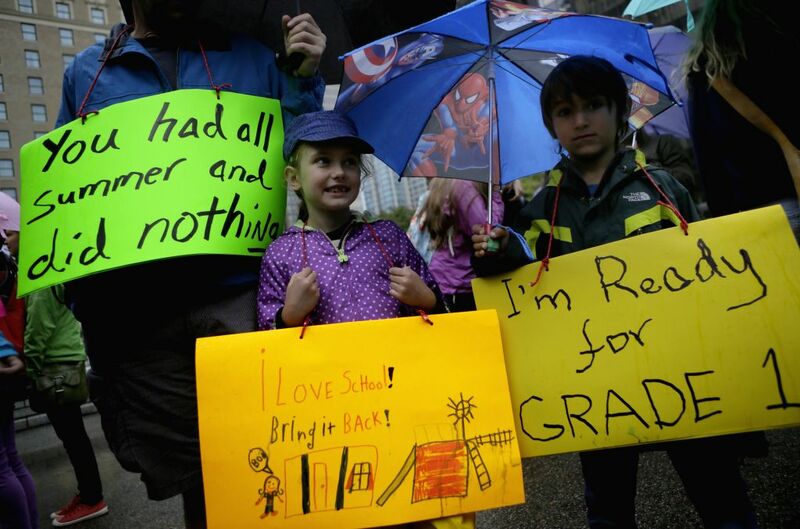 VANCOUVER (CANADA), Sept. 3, 2014 (Xinhua) -- Elementary school students participate in a protest with banners against the education dispute between the teachers and government outside Vancouver Art Gallery in Vancouver, Canada, Sept. 2, 2014. Over 100 students in Vancouver protested the teachers' dispute outside the Vancouver Art Gallery. As the teachers' strike goes on in the first day of the school year, there is no indication when the BC Teachers' Federation and the province will get back to the negotiating table. 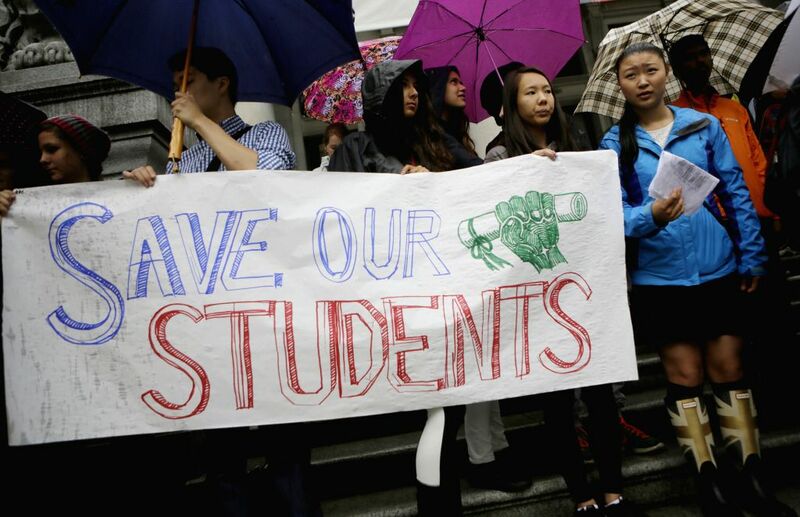 VANCOUVER (CANADA), Sept. 3, 2014 (Xinhua) -- Students protest with banners against the education dispute between the teachers and government outside Vancouver Art Gallery in Vancouver, Canada, Sept. 2, 2014.